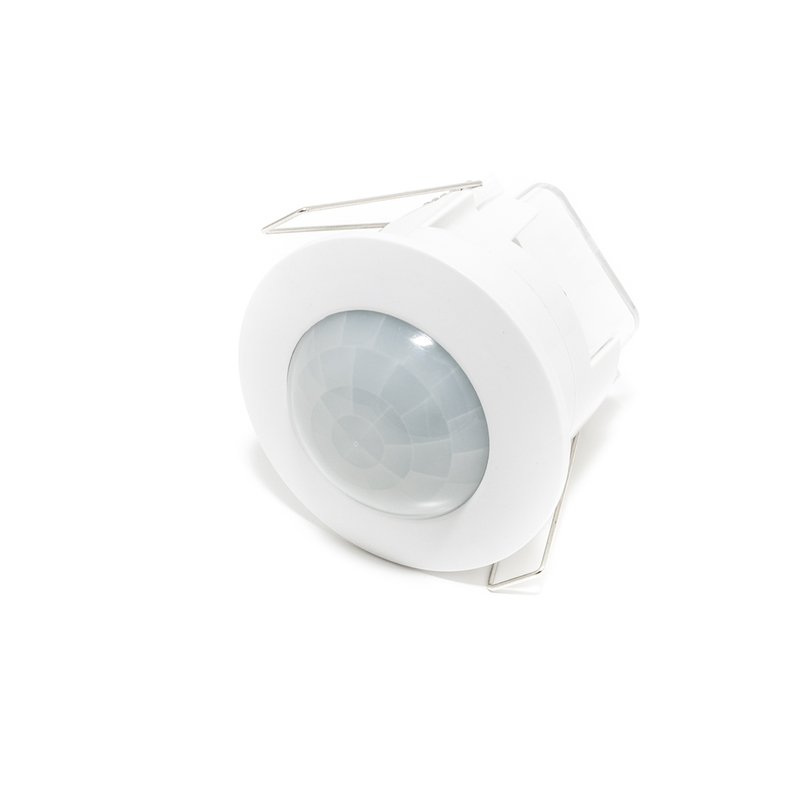 Motion sensor recessed ideal for driving led lamps and traditional. Thanks to the system built-in spring with lugs you can insert it simply in the false ceiling. The sensor allows the adjustment of the ignition time lights and also has integrated dusk sensor with adjustable threshold. The terminal block has a plastic cover flame retardant and tie. The sensor has a detection angle of 120 degrees, which generates a 360-degree coverage, with a radius of 3 metres.